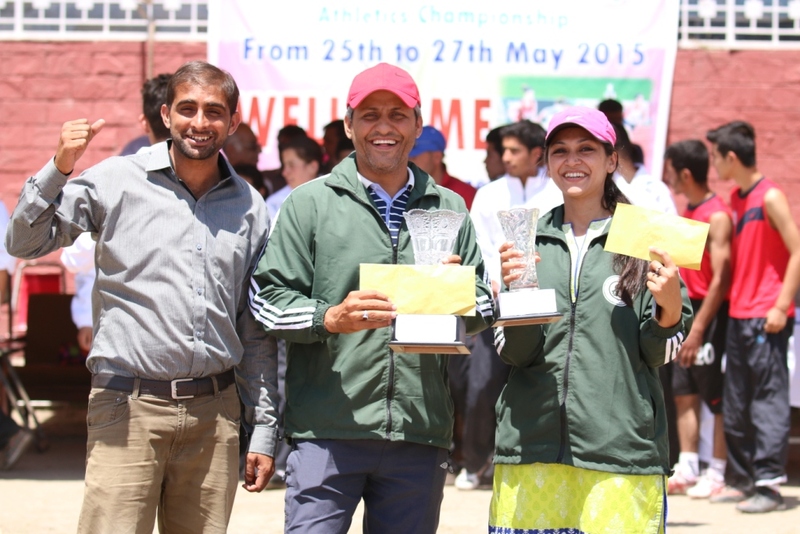 Moheed and Hiba crowned best junior national athletes in Peshawar. 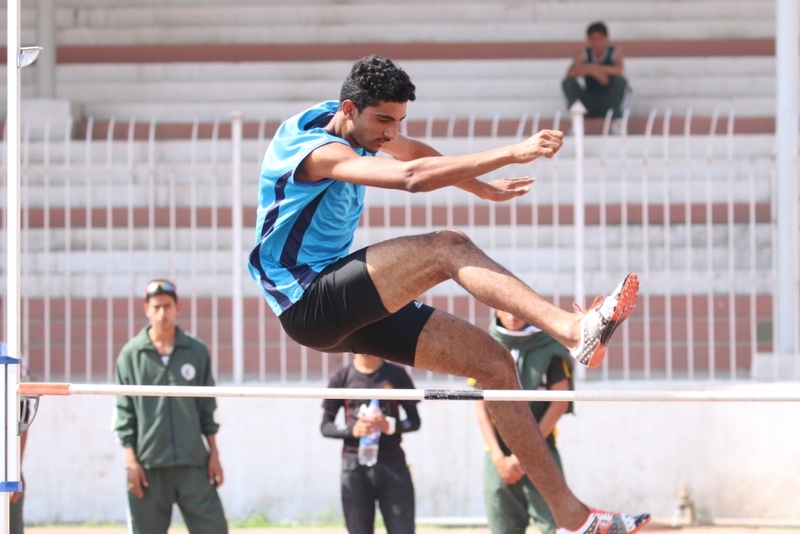 In sunny Peshawar a new trend was witnessed at the very competitive national junior athletics championship that concluded today at Qayyum Stadium. Punjab’s traditional dominance of the games was successfully challenged by younger teams from Sindh and KPK in both track and field events at the stadium off Saddar, Peshawar. For the first time in the history of junior athletics games in the under 16 girls and under 17 boys category the best national athlete trophies were picked up by two young athletes from Sindh. A few months short of his 16th birthday, Abdul Moheed, a rising track star from Karachi, picked up three gold medals in 200m, 400m and high jump to win the keenly contested and watched award. Moheed clocked 22.7 seconds and 50.8 seconds respectively in the two sprints and cleared 5’4” in high jump. 12 year old Hiba Khurshid repeated the sprint double in 100m and 200m and won the long jump event to pick up three gold medal and the best athlete trophy in the girls category. 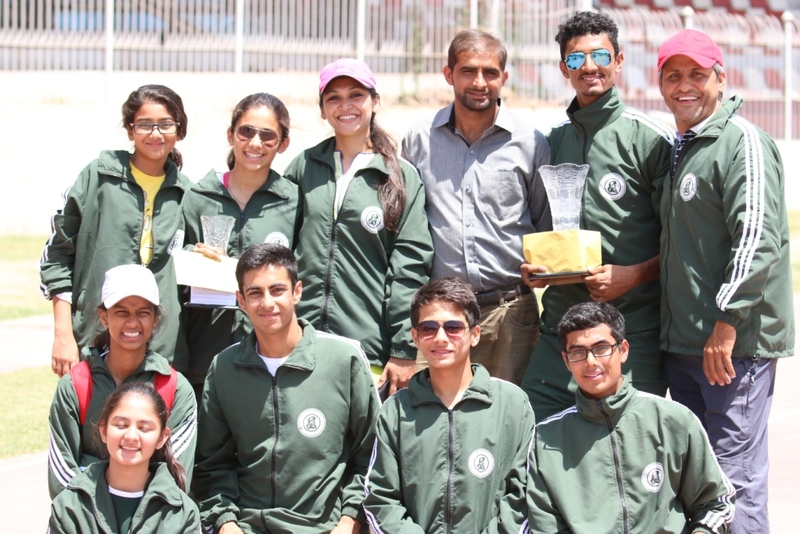 Using the new points system Sindh team finished third overall behind KPK and Punjab in the boys and girls category. Sindh final tally of medals included 6 gold, 1 silver and 4 bronze. Other medal winners included 15 year old Zarah Bundukwala with a silver in high jump and a bronze in long jump, 13 year old Shanzeh Shahid with a bronze in 400m, 11 year old Salwa Farid with a bronze in 800m and Fahad with a bronze in shot put. Amin Farid, Shayan Mustafa and Ebrahim were other members of the club who represented Sindh at the meet. When asked Hiba and Moheed gave credit for their stellar performance to their coaches Roma Altaf, Ahmed Wali and Abdullah Chandio who also accompanied the team as coaches and managers for the boys and girls team. Other than one bronze, ten medal were claimed by young athletes from Sindh Track and Field club, a private junior athletics club run by the three coaches that trains at the National Sports Training and Coaching Center in Karachi. Given the strong performance delivered by members of the Sindh team, one can hope that the long overdue resurgence of athletics in Karachi is finally here. The next big test for the team is the All Pakistan interprovincial open meet scheduled in Islamabad between 9 and 13th June 2015.